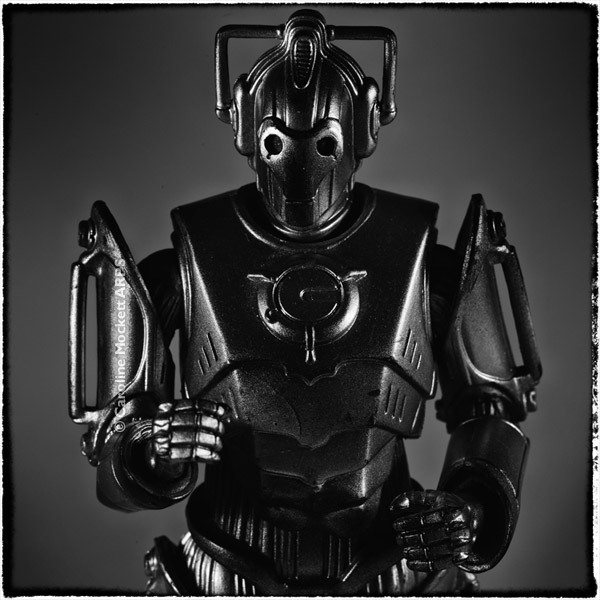 Cyril The Cyberman is going to be a star! 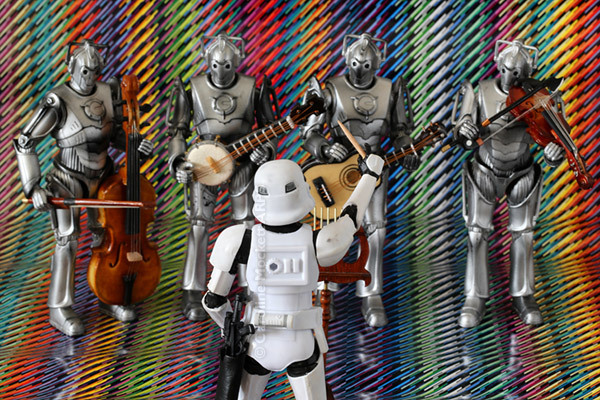 At least, that’s what he thinks – you will see a lot more of him on 2015 along with his friend Stan the Stormtrooper. Watch this space! 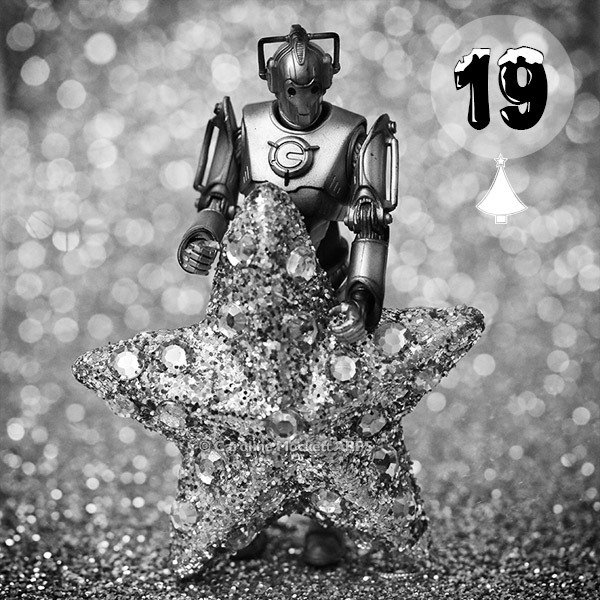 One of the Cybermen decided he should feature in this week’s image for the Toybox 52 Theme of Black And White. He insisted I should make it dark and menacing. 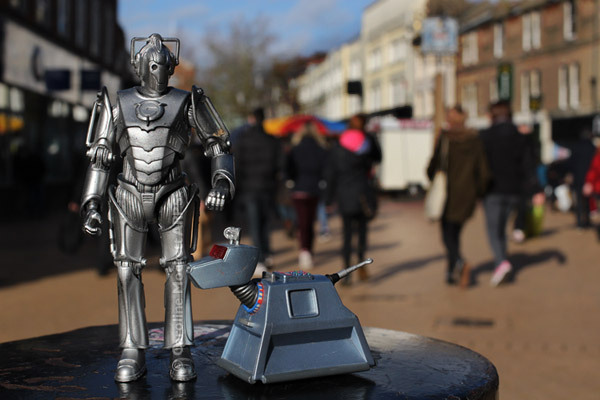 K9 needed a walk and one of my Cybermen was kind enough to go with him into town for a constitutional. 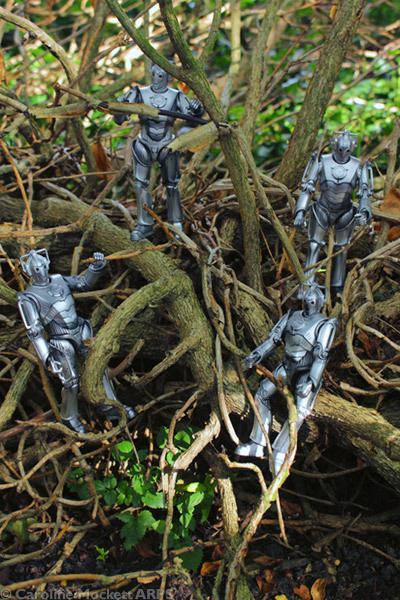 They get on quite well – you don’t want to believe all that you see on the telly! They helped out with this week’s theme, Candid/Street.